Achieve healthy teeth and gums with the Oral-B Precision Clean Toothbrush Head Refills. 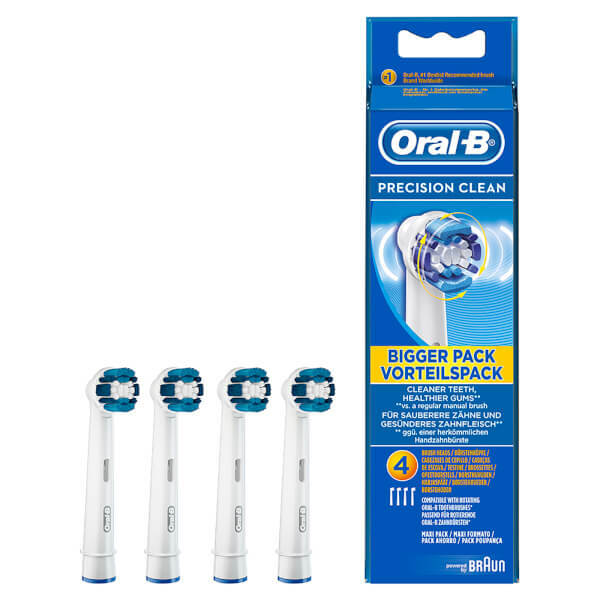 Its advanced bristle system removes more plaque than a manual toothbrush and the Interdental tips penetrate hard-to-reach areas for intense cleaning. The refills deliver a powerful polishing action, whilst remaining gentle to teeth and the Indicator® bristles fade halfway to signal when your brush head needs replacing. E.N. 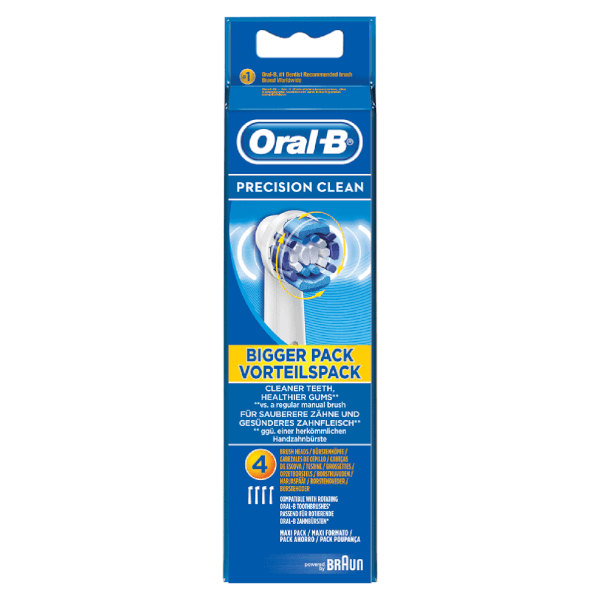 Please Note: Compatible with all oscillating/rotating Oral-B toothbrushes (except pulsonic). For best results, dentists recommend changing your brush head every three months.